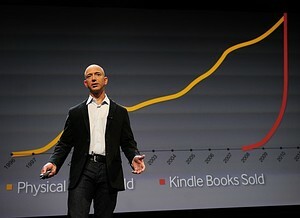 Amazon’s growth in digital music sales is a good thing for the industry. I don’t want to focus too much on how much of Amazon’s rise comes out of the Apple iTunes Store share, even though Amazon’s year on year rise of 5% mirrors Applies’ drop of 5% (Amazon up to 22% in Q4 2012 in the US, with Apple down from 68% to 63% in the same time period). I’m just glad that there’s a bit of competition in the market as the streaming revolution gets ready to explode. The competition is unlikely to drive innovation in music services – the various licensing schemes around the world for the various rights is a huge inhibitor to new business models and methods of distributing and listening to music. But having a multiplicity of music stores will keep the other stores honest as they look to boost sales through streaming music services. NPD’s report points out this area as one which could drive growth in the near future. Listeners to streaming music services (such as Pandora or Spotify) place a greater emphasis on owning the music, and are more likely to buy a track after hearing it. I’d expect any company with a significant music store to be exploring a streaming music service so they can reduce the friction between hearing a track and buying it. Both Amazon and Apple will be hard at work setting up their own music streaming services. If you’re looking for the next musical battle of 2013, that’s where it will be.